"GI Joe, America's daring, highly trained special mission force, faces a fearsome new threat from the evil Cobra Organization. Dr. Mindbender has joined the DNA of Cobra fighters with that of the Earth's most savage creatures, creating hybrid warriors with dangerously superior fighting skills. To fight these V-Troops, the GI Joe team develops advanced battle technology. 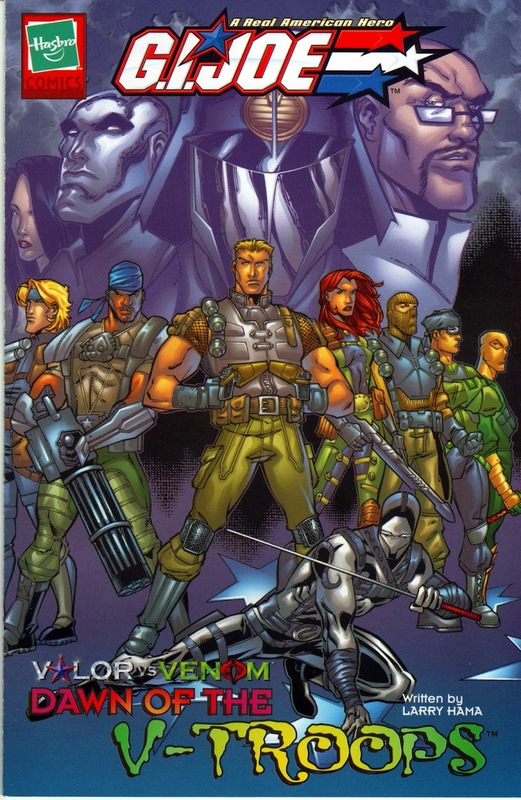 It's a thrilling new chapter in the battle to protect freedom and justice for GI Joe - A Real American Hero!" That's what Hasbro's GI Joe Valor vs. Venom toyline from 2004 is about. And I must say, I like what I read! Although I might be alone on this. The action figures were based on the CGI animated movie Valor vs. Venom, and they didn't get much attention from the elderly Joe collecting community back in the days. There might be reason to it. The figures were geared towards children. You can see that when looking at the designs of the figures. Hybrids, that's what they are indeed! They're not vintage anymore, and aren't modern Joe figures yet. We didn't have Valor vs. Venom figures over here. That's why I discovered them relatively late. Sure, they might not be the coolest Joe figures ever made. But even though there's something flimsy about their designs, they have something that attracts me. And it's not just the cool background story! Valor vs. Venom (VvV) figures were regularly sold in 2-packs. I got my hands on a few sets about three years ago I think. I always wanted to review at least one of them, but never found the time. Today I finally managed to take Storm Shadow & Snake Eyes out of their box and give them a closer look. Let's start with Snake Eyes. Snake Eyes (v17) came with a three-piece chain, black sheath, silver sword, black submachine gun, and something I couldn't make out in the first place. According to YoJoe.com it's suppposed to be a black wrist communicator gauntlet though. I'm also reading that this Snake Eyes had an entirely new body sculpt. No bits from previous releases were recycled, which is quite common for GI Joe action figures. The weapons can be attached to the gauntled. The sheath can be attached to the back of the figure. Like his predecessors, Snake Eyes' torso is connected to his waist through an o-ring. The figure features 14 points of articulation, has a nice sculpt and a clean paint job. The weapons sit tight in the hands. In terms of playabilty this figure is nicely executed. Storm Shadow is a nice figure, too. Like other VvV figures, he came with an action feature. 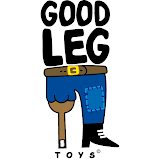 By squeezing the legs, his right arm moves up and down. In order to make this action feature work, the figure does not have o-ring construction. Otherwise he came with the same points of articulation like Snake Eyes. I totally dig the figure's design, the white & red color combination, and the cobra sign on his mask. 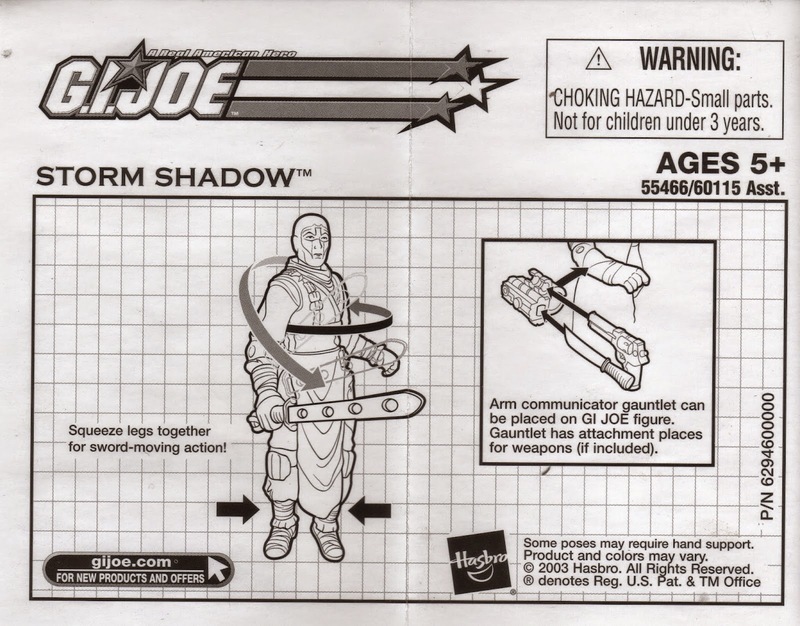 The instructions show how the gauntlet on Storm Shadow can be used. For some reason a not included knife and a gun are shown which can be attached to the gauntlet. Originally Storm Shadow had two silver knives, a black sheath, and a silver sword. However, the sheath cannot be attached to the figure. Like Snake Eyes, the figure has an entirely new body sculpt. No parts were were re-used for making this figure. 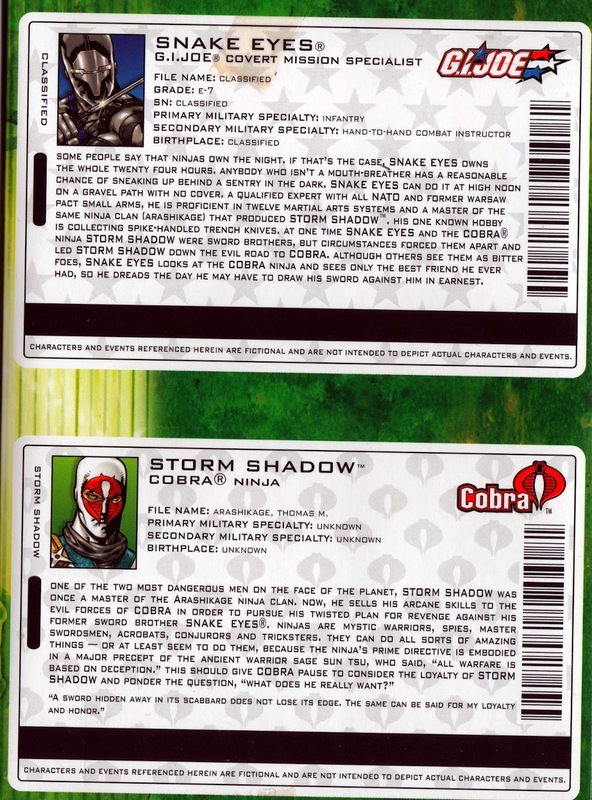 The 2-pack also included a mini-comic written by legendardy Larry Hama, and two filecards showing extended bios of the two ninjas. Like I mentioned before, there's something that draws me to these figures. I dig the packaging's & figures' designs, the artwork, the different approach and the plot, how Dr. Mindbender fuses DNA material of animals and humans to create hybrid fighters. The figures might not be as elaborate as modern Joe releases from the 30th Anniversary era. But I would prefer a decent Valor vs. Venom collection over a Retaliation one all the time. The truth is, these figures are way better than their reputation is among elderly GI Joe collectors.